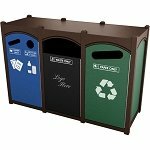 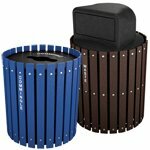 The combination of materials in these decorative outdoor garbage cans pull together style and functionality. 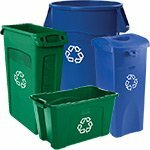 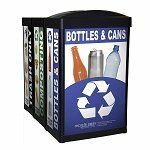 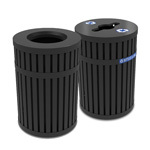 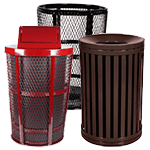 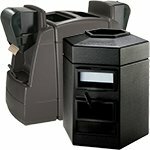 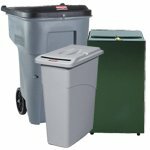 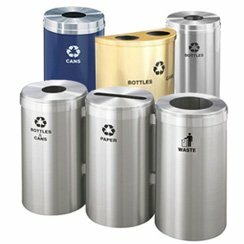 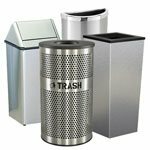 This series offers the perfect solution for your commercial trash can and recycling center needs. 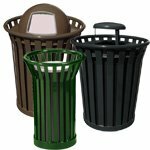 Those are sharp looking trash barrels! 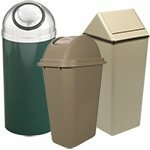 Our Parkview Waste Containers feature weatherproof, galvanized powder-coated steel to ensure long service-life and minimal maintenance. 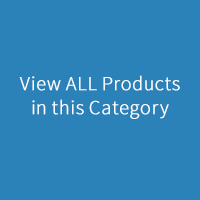 You can be confident in a secure investment with included hardware. 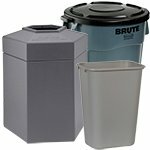 This includes bolt-down hardware and security cables from lid to base. 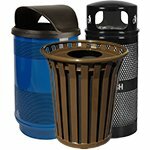 These are hardworking bins stay stable in the most challenging weather environments, thanks to built-in rubber stability traction feet. 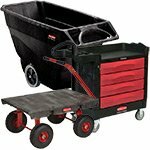 Base construction features sturdy, heavy gauge steel rails. 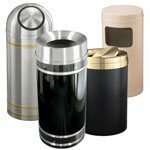 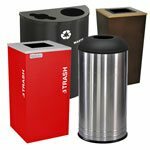 While these containers are fire-safe and mega-tough, they have a modern look that will complement environments of all types. 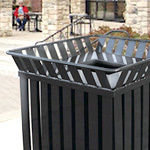 Each unit is delivered with an included, black, powder coated, galvanized liner with built-in handles. 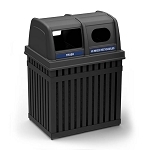 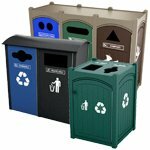 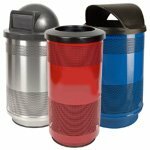 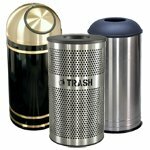 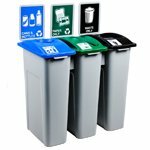 The handsome and unbeatable ArchTec Parkview Double Trash and Recycling Receptacle is an upscale model featuring double steel-slotted outdoor trash receptacle with a dome lid. 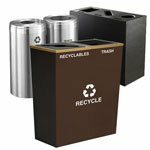 These containers will support your company or organizations important Green initiatives with clear labeling. 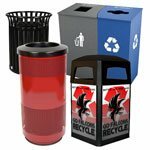 Each unit includes a complete set of decals for clear identification of waste and recycling streams. 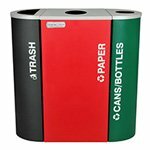 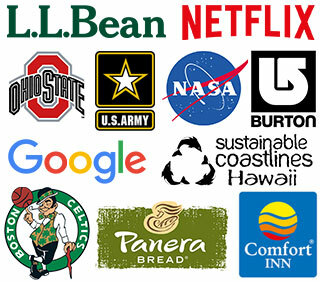 The decals include Aluminum, Paper, Plastic, Glass, Mixed Recyclables, Trash and two "Mobius Loop"Ã‚Â recycling logos. 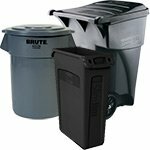 Two separate openings and liners in each barrel make for the optimal all-in-one trash and recycle container combo. 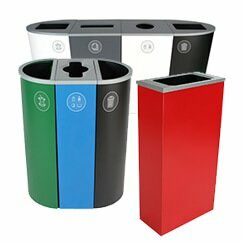 The round openings are 8" x 5", allowing users to throw away trash and recycling without touching the waste receptacle. 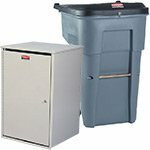 The generous, 25-gallon capacity liners have handles built right in. 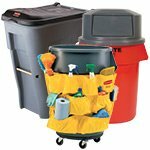 The patented Grab Bag system makes maintenance easy as pie. 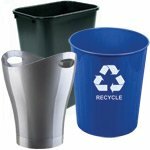 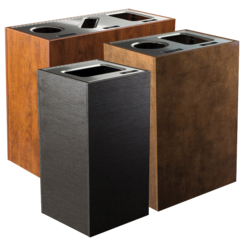 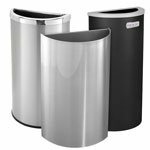 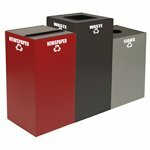 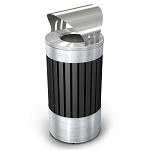 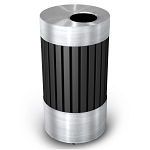 If you're in the market for palatial, sophisticated waste container that will match your office decor, the ArchTec Riverview Trash Receptacles are an awesome choice. 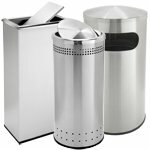 These attractive bins feature strong vertical steel rails and 304-grade stainless steel construction which stands up to heavy use while creating a contemporary style. 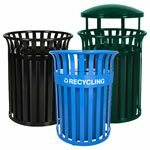 To help keep out the weather, the Canopy Lids with their large 9" diameter opening acts as rain guard; perfect for placement of ArchTec containers in outdoor locations. 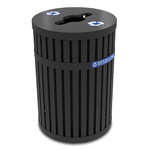 The barrels include 25-gallon powder-coated black galvanized liners with handles. 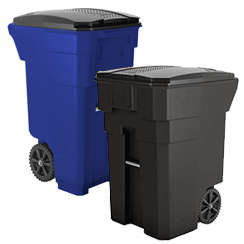 We have found these handsome units to be perfect for high traffic downtown and pedestrian areas. 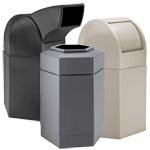 A favorite feature of these rugged, outdoor-friendly bins are the "Double Dome" lids. 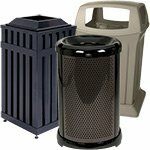 Quality made of heavy-duty polyethylene which helps keep the weather elements and crafty critters out. 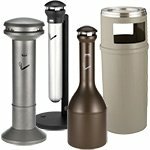 The Great Outdoors look even greater! 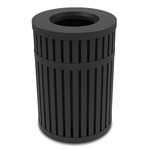 Make your outdoor site complete with our ArchTec Riverview planters. 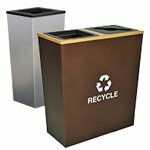 These great looking 12-gallon planters your environment and are perfect counterparts to the other members of our ArchTec family of recycling and waste containers. 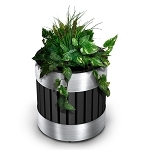 Featuring vertical steel rails and high-grade stainless steel construction, just like it's contemporary, good-looking cousins, the Riverview planters also accommodate a wide variety of plant and flower species and have pretty, decorative trim accent bands. 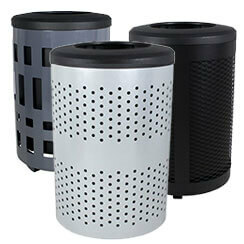 Large openings assure that plants fit easily even with planting pails still attached. 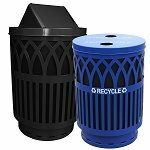 To avoid water retainment and allow sufficient drainage, simply drill holes in the included black 14" diameter x 19" high polyethylene liner. 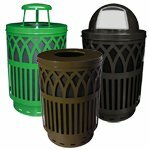 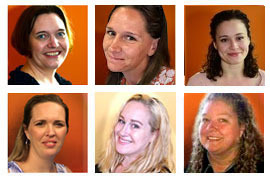 Uptown or downtown - indoor or out! 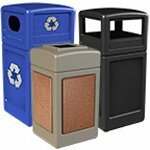 ArchTec products are a favorite of our municipal customers. 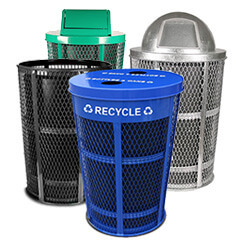 Cities and towns place the trash and recycling barrels in pedestrian zones and public parks. 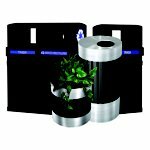 Hotels and resorts have used the ArchTec planter and trash-barrel combos in recreational locations, near swimming pools and lounge areas. 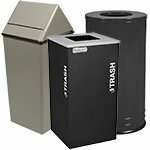 Office and industrial parks looking for a snazzier trash container place these cans in conspicuous areas to ensure visitors and employees discard refuse properly. 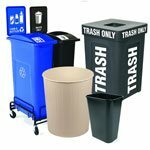 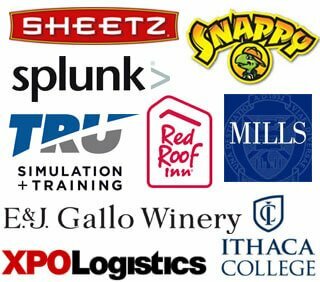 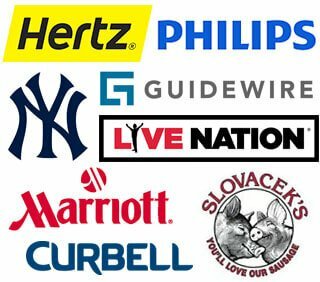 If we can tell you more about where and how ArchTec waste and recycle containers are used please give us a call at 866.359.8594.